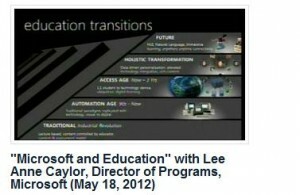 Watch video of the presentations held in the Cascade Auditorium at Microsoft’s Conference Center, Redmond, Washington from the IT Futures Summit at Microsoft on Friday, May 18, 2012. 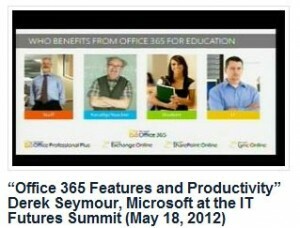 (Click on any of the images to view the video.) 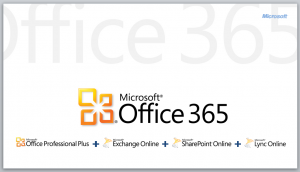 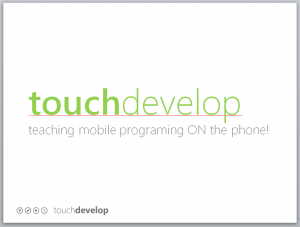 The PDF’d versions of the PowerPoint presentations are now available. 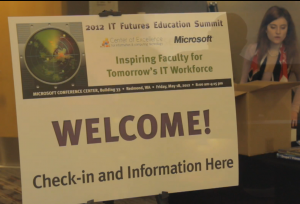 You can start with this “behind the scene” look at the annual IT Futures Summit at Microsoft. 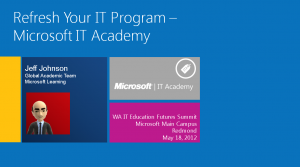 You will get some great insight into Microsoft initiatives and who is working on what, from Donald Brinkman, a program manager II who works on Microsoft’s Research, Jeff Johnson who is now the global director for the Academy program, as well as Peli de Halleux, who is a senior research software developer engineer, who works on developing applications for the Windows phone. 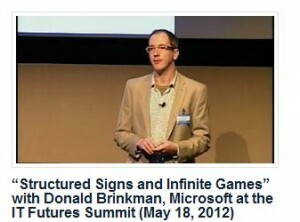 You will also see the team who make this all possible, learn about new technologies, and see how it all unfolds in this quick, fast and furious look at the IT Futures Summit.